Pursuing the ‘bunker solution‘ is a dead end that no government will underwrite – think of the risk of failure! What has been avoided in this Victorian bushfire debate are the fire fighting statistics. Where are the fire fighting operational metrics showing the time between ignition and detection and response and suppression? Is anyone considering the fundamental task of effective bush fire fighting as a key cause of this disaster? The operational metrics, if indeed collated, would be alarming to the general public. The unprecedented extreme risk of uncontrollable wildfires was known to fire fighting operations management, yet no extraordinary resources were deployed in advance. Hours, not minutes, lapsed between ignitions, detection and responses. As a consequence, suppressions via a tired old truck-centric response methodology was demonstrably grossly inadequate. 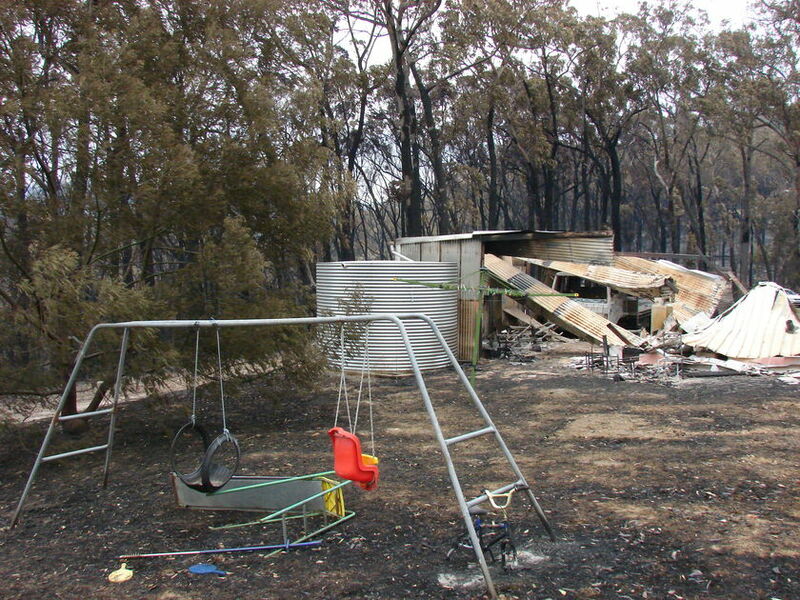 CFA responses were absolute failures in the tactical response to the February 2009 Victorian Bushfires. The whole show descended into an incompetent stuff up which resorted to the worst case scenario – ‘every man for himself’. Only vigilante fire response had a chance of working. Acceptable may be in 1909, but not in a sophisticated 2009 supported by millions in annual funding and research. The response at strategic management level was ‘Keystone Kops‘. The field response was like a tragic Gallipoli – a strategic blunder with good men sent in with too little, too late. The Marysville community like others didn’t deserve official response approach of ‘too hard basket’ and abandonment. The result was incineration entrapment. This is the lesson of the incompetence of the CFA, DSE and Emergency Management Australia. An ignition started in the bush is not an uncontrollable tsunami. But in conditions like that in January 2009 in Victoria, an ignition and more so multiple ignitions become equivalent to a tsunami if conditions, delay and inadequate resources are a combined factors. The systemic failure to deal with ‘before-the-fact’ (ignition) causes is just as vital in being effective at bush fire fighting. I am not talking about slashing and burning the Aussie bush like an ‘Agent Orange’ sortie over Vietnam to eliminate all threat and wildlife habitat. I am talking about grossly negligent housing approvals in extreme bushfire areas, about grossly negligent property owners building houses out of flammable materials and doing squat about bushfire preparedness, about governments at all levels that fail to prepare bushfire prone populations and that fail to effectively communicate emergency drills to protect their lives, and that fail to provide sufficient resources to stop bushfires killing people. Police are only this week interviewing residents around Bendigo to try to identify the suspected arsonist of that fire – five months later as a one-off investigation. Why did Brumby wait 5 months to investigate? I wager the arsonist involved could have been detected well in advance had a co-ordinated permanent bush arson squad been established long ago complete with specialist criminologists, psychologists, experienced bush fire investigators, criminal investigators, etc and enough resources to allow them to do their job. I have no time for political band-aids or government responses that invariably involve millions that do not address the root causes of the problem. The bush itself, as habitat to millions of Australian animals must first be respected as the mutual innocent victim. Bushphobic responses by fanatics calling for scorched earth blanket responses will only fuel greater ecological catastrophe. ‘With firefighters on high alert in Victoria, some people in bushfire risk zones have decided to install fire bunkers on their properties. But there are no regulations controlling the structures and there are concerns some of the fire shelters could be death traps. Garrie Ferguson, who lives in the bushfire-prone Adelaide Hills, has started selling reinforced concrete water tanks as bushfire bunkers. For under $3,000 Mr Ferguson can install a concrete tank that fits six people and comes with metres of underground piping that holds reserve air. He has sold 14 bunkers in the past two weeks. “I do actually have a member of the metropolitan fire service that has bought one as well,” he said. But Mr Ferguson cannot guarantee that people will be safe. “I can’t guarantee anything at all. Somebody might put 12 people in it, use the oxygen supply and die,” he said. Another option that some people are turning to, is to install a shipping container into the side of a hill. Robert Caulfield from the Australian Institute of Architects warns against the temperatures that can be generated inside the containers and the possibility of running out of oxygen. “It’s quite possible we could end up with fireproof shelters with people absolutely cooked inside it or get suffocated,” he said. Mr Caulfield says during the bushfires three weeks ago shelters with steel roofs and similar features became glowing hot. “It really needs a rigorous test on these sorts of things because once you get something generating that sort of heat it will also actually set up convection currents inside it, it can start fires inside the unit and so forth,” he said. ‘In its second interim report the Commission expressed its concern about the lack of regulation for bunkers, the risks of misplaced reliance on bunkers, the demand for bunkers, and the widespread availability of bunker products. It tackled the clear and pressing need for a minimum standard to regulate the design, siting and construction of bunkers by recommending that the Australian Building Codes Board (ABCB) develop a standard as a matter of priority. The Commission also made recommendations designed to ensure that, in Victoria and nationally, bunkers are regulated under building legislation and the standard developed by the ABCB is referenced as the minimum standard for construction of bunkers. ‘The bushfires Royal Commission will make early recommendations for building standards as Victorians rush to install bunkers and rebuild their homes in high- risk areas. Commission chairman Bernard Teague has just announced the commission will not wait until the release of its final report next year to make the recommendations. This entry was posted on Tuesday, November 8th, 2011	and is filed under Threats from Bushfire.